The island is calling, and deals around Avalon abound. ON THOSE CLEAR DAYS... when a person standing in Rancho Palos Verdes can see Catalina Island in the distance, with its peaks and curves and distinctive outline, there's only one thing to do: daydream. It's a before-your-eyes reminder that there's an enchanted isle off the coast of Southern California, and you don't need to go through a series of airports, or book months in advance, to enjoy a day or two on the sand, on land fully surrounded by water. This daydreaming fully comes home to roost in the winter, when slightly chillier temps on the mainland raise the island equation in many a mind. To help turn our daydreams into something doable, the Catalina Express and Paradise Package Hotel Partners have created a series of "Best of Winter" packages centered at properties and attractions in and around Avalon. THROUGH MARCH 2016: This is not the sort of act-now deal that requires you to hop on a plan, and enact it, by the end of the year. You probably don't want to dally though; the discounts and such are good through the third month of next year. 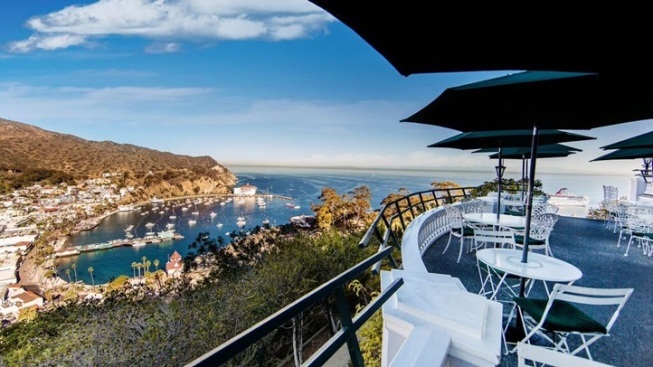 Seaport Village Inn, Hotel St. Lauren, Hotel Mac Rae Beach, Hotel Villa Portofino, and a number of other destinations have packages that might include roundtrip on the Catalina Express or a pair of tickets on the iconic glass-bottom boat tours. It all depends on your pleasure -- having your travel to the island included, having some restaurant discounts in the mix with your hotel stay-over, or enjoying a swimming pool -- and going from there. EVENTS ON THE HORIZON: Winter stays full around the burg, from the Catalina Island Conservancy Marathon (plus 10K, 5K, and Kids Run) to the Annual Avalon Harbor Underwater Cleanup. So is winter truly winter on Catalina Island? There are still loads of sunny days, and to-dos and activities and boat rides and such. Scoring those not-summer deals, though, reminds you of the season.